The digital platform is often the first introduction a consumer has with a brand. 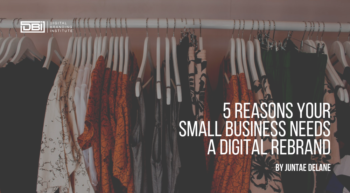 Whether you’re brand new to digital or experienced with it, measuring your Digital Branding ROI is the key to understanding how your digital brand is impacting your sales, revenue, and conversions. Metrics can help you understand how your brand is performing within the framework of customer perception and competing brands. To truly understand your Digital Branding ROI, you must define the proper digital branding metrics. DBI TIP: There are several ways to measure and evaluate your Digital Branding ROI. This critical process should take place at least once a year. This post will guide you through the necessary steps to measure your Digital Branding ROI. Before I get into the key metrics you need to determine your Digital Branding ROI, you need to understand the three components of a digital brand. Your digital brand is composed of your digital identity, visibility, and credibility. Let’s take a deeper dive into each of the three components. Identity: A consistent digital brand identity allows your audience to build a memory structure around who you are and what value you have to offer. More than ever before, your digital brand must convey personality. The goal is to tell your story and engage people in a familiar and meaningful way. Visibility: If your identity represents who you are, your visibility represents how your target audience will find you. This includes where your brand appears and how easily your brand is discovered. Considering your audience will help you target them effectively. Credibility: The information you and others share about your brand determine your reputation and establish your digital credibility. In other words, your credibility is what your audience thinks of you. You want to position your brand as one your audience knows, likes, and trusts. Assessing behavior will provide important insight into how your audience responds to your brand. What behavior are you expecting when people interact with your brand? Set realistic expectations and goals by looking at the results of past campaigns. Make sure you take the different social channels you are active on into account. Invest in a listening solution so you can understand the conversations that are organically happening around your brand. This may help you identify new opportunities and reframe expectations. What pages does your target audience see? When a person interacts with your digital brand, what do they see? Do your social pages, sites, microsites, and apps provide unique experiences or unified messaging? Which of these is a priority for your brand? What content do they consume? It’s important to understand which content users are consuming, and WHY – so you can replicate this content in the future. What actions do they take? And how do these actions impact business performance? How do these actions vary based on where your content is being released? How your brand is viewed affects how well your brand performs in the market. Brands need to measure their digital brand perception and understand how their activities impact their entire brand performance, including, awareness, consideration, and trial. When making purchasing decisions, Internet users seek online product reviews, recommendations from discussion forums, or feedback from social media sites. How do people feel about your brand? 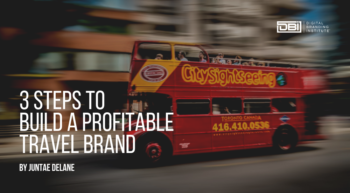 Is your brand desirable? An effective tactic to determine your brand perception is to survey your audience. By conducting regular, well-designed brand perception surveys you can keep tabs on how effective your branding campaigns really are. Brand Recall: Can a customer spontaneously recall your brand, or do they think first of a competitor? Brand Recognition: When presented with a list of brands, does your audience recognize yours as a reputable option? Brand Identity: Brand identity is what you as a marketing team create. It’s important to determine whether these efforts are being successful. Brand Image: While brand identity is created by the brand itself, a brand’s image is based in the customer’s perception alone. Tracking disparities in these two can reveal gaps in your marketing efforts. Brand Trust: In an era of data breaches, keeping tabs on your level of brand trust is key. If your brand doesn’t appear trustworthy, you will have difficulty retaining customers. Brand Loyalty: Loyal customers can become evangelists, but you need to consistently track loyalty levels to determine how often this transformation is happening. Customer Profile: Changes in your core customer base may signal the need for a pivot, either in the product or your marketing messages (or both). The important step in measuring your Digital Branding ROI for perception is to overlay your performance data with your brand perception data. The chart above displays how the top 25 most meaningful brands outperform the stock marketing by 133 percent. This indicates that your branding efforts can impact revenue significantly. Why are you measuring your digital brand impact? Are your digital branding activities resulting in the achievement of business goals? What outcomes signify value delivered to the business bottom line? A phone call to your call center? Signing up for email promotions? People buying your product or service? A 95% task completion rate? A high video viewing rate? Overall, tracking these outcomes will give you a clue about how well your digital brand is performing. How is your brand perceived in the marketplace? What do key audiences believe about your brand, and what feeling does your brand evoke? Naturally, brand perceptions influence how customers think and act. The stronger those perceptions are, the more likely they will be to influence purchasing decisions. If you don’t understand consumer perception of your brand, you can’t effectively market your brand and grow your business. By measuring your Digital Brand ROI, you can determine whether your customers purchase your product, recommend your company to others, or turn to the competition. • How do you want people to feel or act in response to your brand message? • What can followers expect to see from you in their feeds? • What story are you telling with your content? 1. What Are People Saying About My Brand? Sentiment Analysis that can tell you whether the commentary around your brand is skewing positive or negative right now. All of these features can help you expose insights around your brand faster than ever before. 2. Who Is Talking About My Brand (and My Competitors)? 3. Where Are People Talking and Engaging? To better reach your target audiences and new consumers, you need to know where people are engaging so you can get involved in relevant conversations. With social listening, users will get access to more data sources, including Twitter, Facebook, Pinterest, Instagram, YouTube, Google+, and millions of blogs, forums, message boards, and news sites. Users are also able to identify regional or geographic trends in social conversation to better target campaigns. Plan: You can plan for your earned social media by determining what, why, when, and how people are posting about your brand. What: What are social users saying about your brand and relevant topics to your brand across all social channels – even ones you aren’t active on yet? Why: Why do people feel passionate enough about your brand to post about you? Can you put your different kinds of earned media into different buckets — for instance, complaints, praise, and referrals? You can use what you find out to inform your owned social strategy as well. When: When are people talking about you online, and on social? Are there spikes in engagement around certain events or times that you didn’t know about before? How: How can you get involved in these conversations about your brand? How can you insert yourself creatively and charmingly to fulfill your brand’s larger business goals on social? How can you leverage the influencers discussing your brand in owned social efforts in the future? Optimize: Once you’ve begun to understand your earned social media, you can optimize by engaging with the people organically talking about you, and making changes to your campaign and messaging depending on that feedback. This is a great time and place to build your influencer program. Keep an eye on the metrics that map to the goals you have put in place, and make modifications to increase the value of your campaign. Measure: You should measure the overall quality and growth in positive earned social media response regularly, so you know how healthy your brand is. This will also help you do better next time around, and understand if you were focusing on the right metrics and goals to begin with. How easy is it for your target audience to find you? • Run a Twitter Profile Keyword Analysis: There are already people following you. What are they into? They’ll let you know with their Twitter bios. You get demographic data like hometown, career (#digitalbranding), hobbies (#gym), alma mater (#ucberkeley), gender, values, and more. Your job is to look for patterns, then whittle your findings down to a list of words that appear most often in people who take the actions you seek: click through to your website, download your content, retweet your posts, mention you in their posts, and buy your product. • Run a Competitive Keyword Analysis: You want people to buy your product, not your competitors’. Ideally, you’ll discover a segment you didn’t know you should be targeting. For example, maybe you’re a yoga studio owner and you find that a studio near you offers acupuncture and a lot of their followers are responding to deals they’re posting, or they list “acupuncture” in their bio. Maybe you can offer some alternative medical treatments in your space as well, or team up with a local practitioner as a co-marketer. • Find Your Most Active Followers: Some people decided to follow your brand, then took a really long nap, never to appear on Twitter again. Don’t despair! You can use the data provided by Twitter to find out which of your followers are wide awake and actively engaged with your brand. These people are way more likely to enjoy any promotions you send out, share your content, and grow your following. • Define Your Social Personas: Any time you collect information about your audience, it can help you define, or redefine, your customer personas. When your marketing moves at the speed of social, you may be catching fire with a new group, and only regular check-ins will keep you aware of that. Step 2: Find out where your brand appears and how people are being referred to your site and digital properties. As a social marketer, your visibility evaluation should always take SEO efforts into account as well. A successful social media campaign should also have a positive impact on your search ranking. Moz has found that social metrics and link quality are among the most important search ranking factors. These are some of the questions that you must ask if you wish to successfully manage your online reputation. Is your business or brand well-known online? How do people feel about you, and what do they think about when they come across your brand online? What kind of content appears on search engine results pages, review sites, and social networks when your brand name is being searched? Focus on measuring your online reviews, your influence level, and that of your followers as you work towards building your credibility. As your customers and prospective customers interact with your brand in the digital space, you have to measure both web and social analytics. Your social accounts, social ads, and website are often the first points of entry for a customer. Measuring and your Digital Branding ROI on all fronts is the key to understanding how you are impacting your sales, revenue, and conversions. We recommend going through this measurement process, following the identity, visibility, and credibility framework, annually. These three traits are inextricably linked, and brands who rank strongly in all of them are unstoppable. It’s time to really understand your Digital Branding ROI, so you can communicate your value to the rest of your organization and continue to drive value for your brand.